On Sunday 8th October we will host a ‘Words In The Sky’ literary event on the hotel’s rooftop, above the Cambridge skyline. 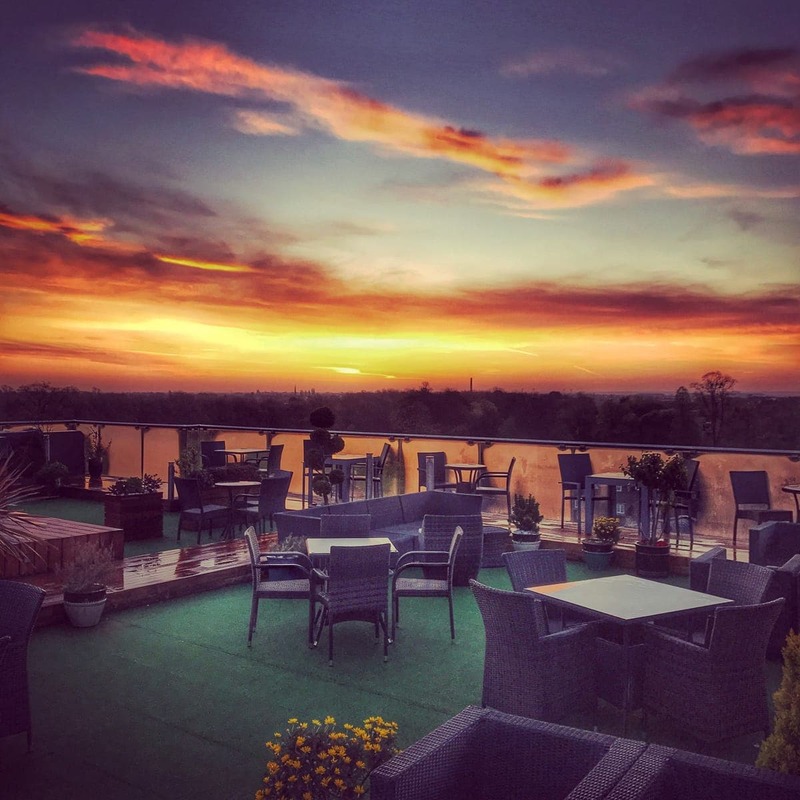 The evening will give attendees a unique view of the beautiful East Anglia heavens and a chance to enjoy a series of poetry and literary readings on the subject of the cosmos, surrounded by breath-taking views of the city. Hosted by Dr Simoniti from Cambridge University, the evening will entail a series of specially curated readings, which will delve into the world of astrology and the seasons, featuring works from Ludwig Wittgenstein, one of the city’s most famous philosophers as well as other influential writers. After the readings, guests will be able to discuss the pieces in further detail, exploring how the extracts reflect the area and cosmos before descending to the hotel’s panoramic bar and brasserie, SIX for a sumptuous two-course meal with a glass of Prosecco. We will ask attendees to turn their phones off before ascending to the Roof Terrace. The lack of digital distractions will allow attendees to fully embrace the literature as well as Experience the view of the sky and the city in all its glory. Dr Simoniti has a background in Philosophy and is currently a Junior research fellow at Churchill College, Cambridge. He will be talking through how the literature examines the cosmos before opening the floor for further in-depth discussions. For those concerned with the unpredictable British weather, the event can be brought inside for a unique indoor reading, in The Trinity Room on the first floor of the hotel, where guests will still be able to listen to the readings and explore their meanings whilst looking over the rooftops of Cambridge, should the weather be too inclement to take place on the roof. The event can be enjoyed by both guests and locals, with tickets costing just £49, which includes an hour reading by Dr Simoniti and a two-course meal with a glass of fizz. Guests need to arrive at SIX Panoramic Bar & Brasserie at 5.15pm for a 5.30pm start on the Roof Terrace, followed by dinner at 6.45pm.